Look at this fearsome canine, this dangerous predator – it is a hunter, a member of an unstoppable pack – well, at least, it will be in the future. At the moment it is a sweet pupper, an adorable little pumpkin that has just started exploring the world with its eyes wide open. 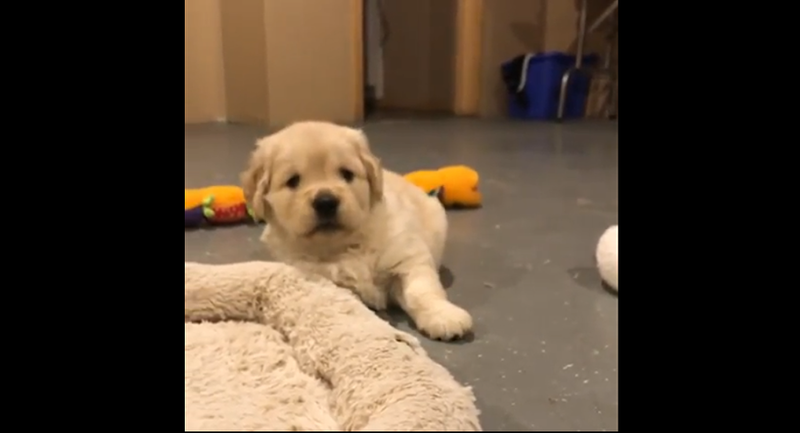 This tiny golden retriever is ready to play, just hear it growling. It is a good thing when a dog is playful and energetic, and this is a very good start. Go get 'em, doggo! Can Golden Retrievers be Angry?